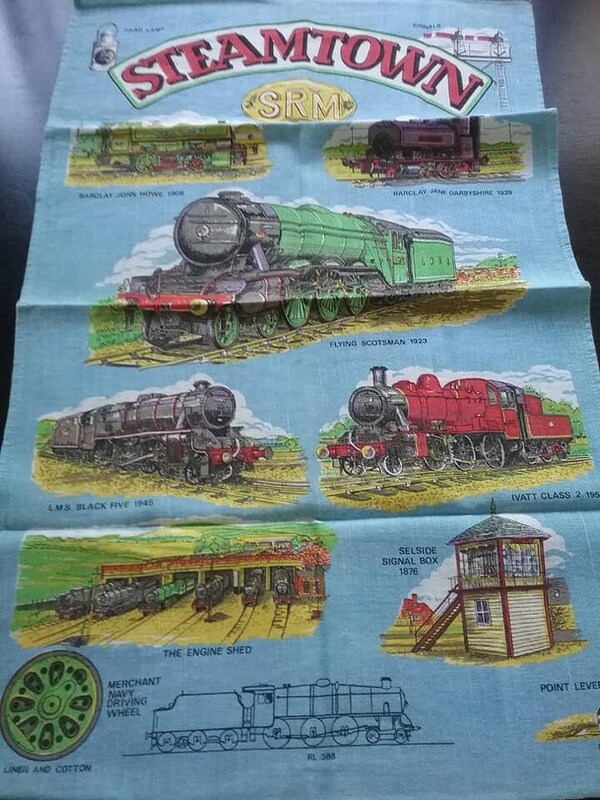 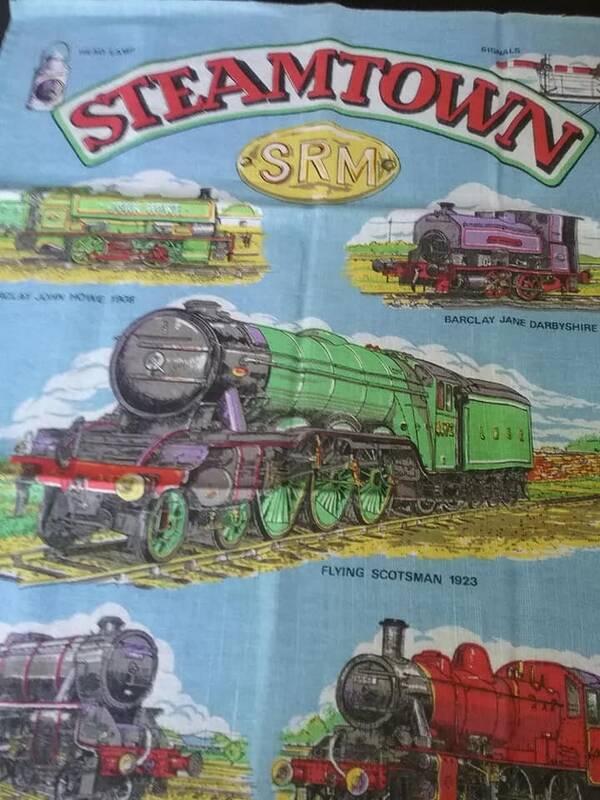 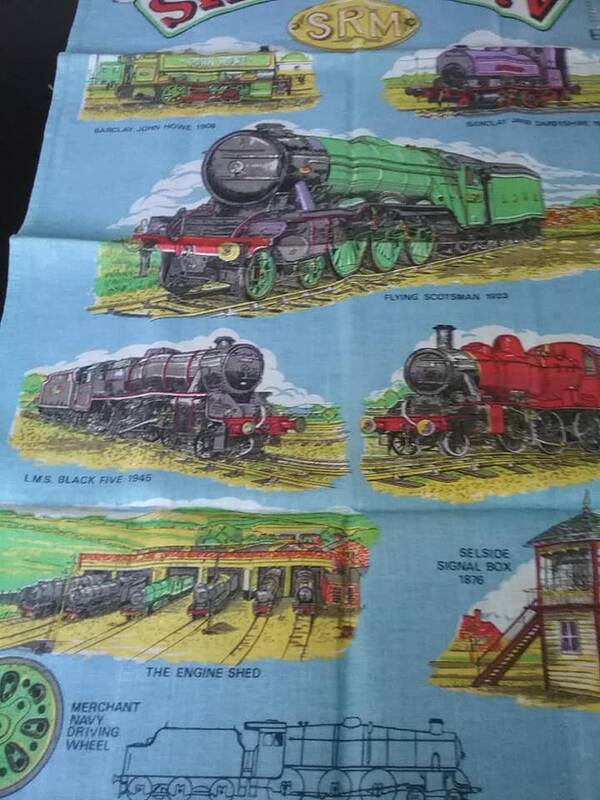 Vintage tea towel of a steam train. 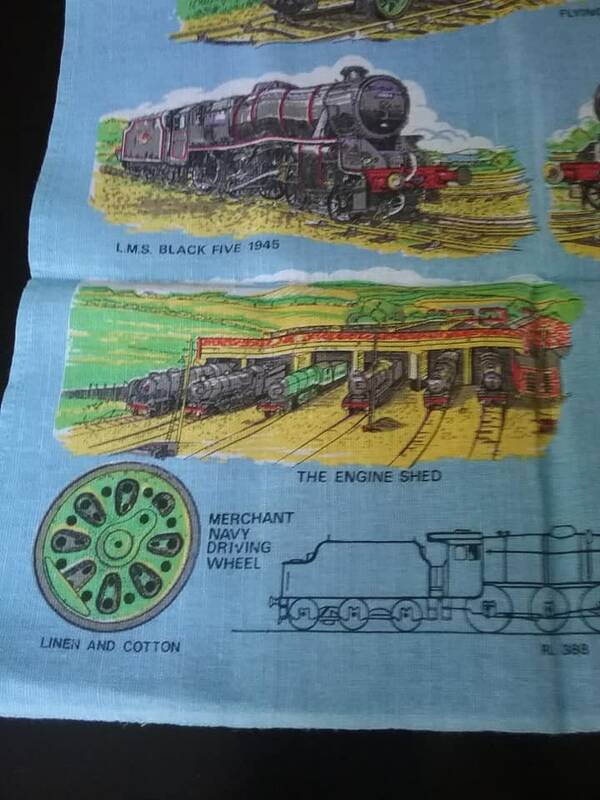 Linen/cotton blend tea towel of Merchant Navy Steam Trains of Steamtown (Scranton, Pennsylvania). 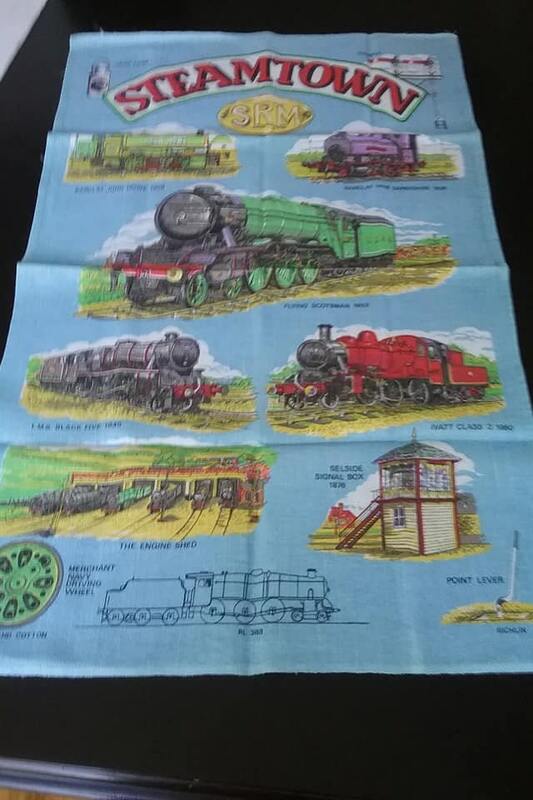 Depicts time line in beautiful color and illustrations and is in excellent vintage condition. 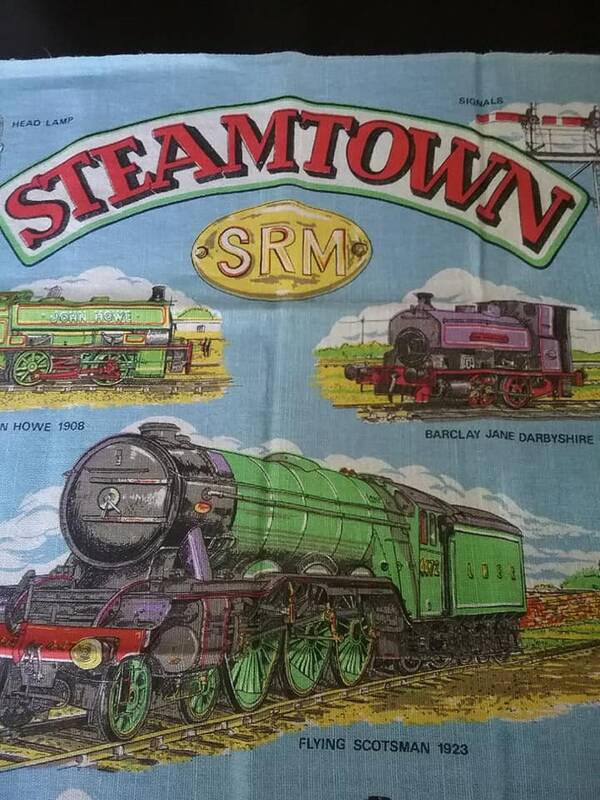 29.5" x 18.5", it makes a lovely wall hanging for any Steampunk theme room, or that of a steam engine hobbyist. 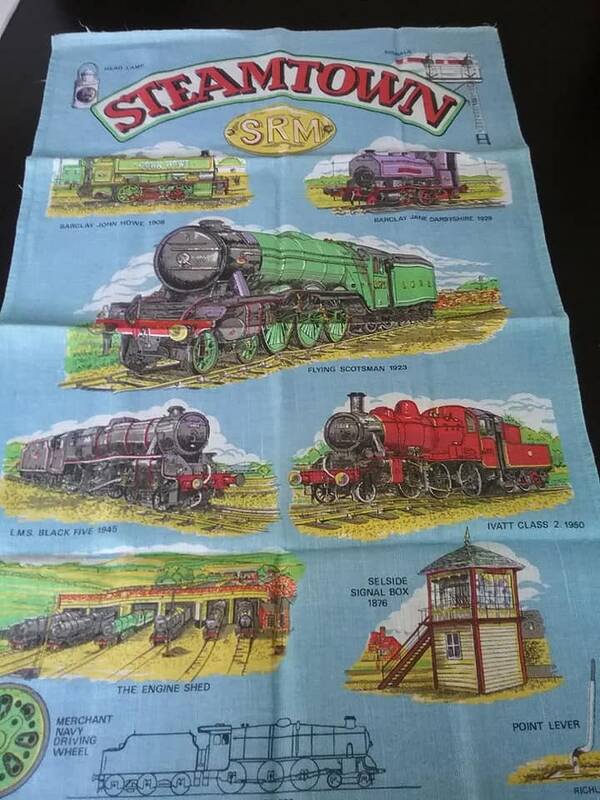 A great Father's Day gift!